User testing with students at ITP. Electrons in the fingertips function to close the circuit, similar to turning on a switch. When the circuit is closed, a microcontroller in the pocket of the jacket sends a wireless message to the other jacket to initialize a hug. A harness stitched into the jacket consists of stretchy fabric attached to a rod with a stepper motor on each end. 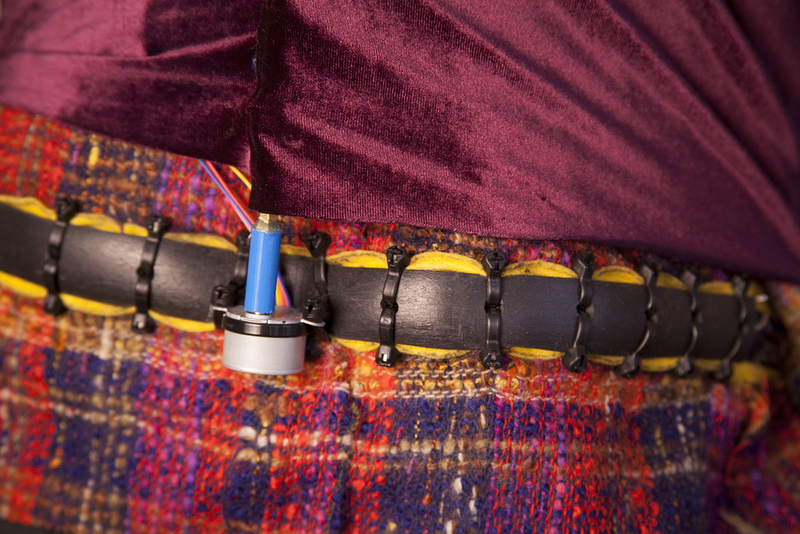 When a hug is received, the motor mechanism spins back and forth, tightening the fabric around the wearer. A future iteration of this project will likely consist of a modular harness that can be fitted into different pieces of clothing.